All the results and scorers from the sixth round of the QRL U18 Mal Meninga Cup. All listed times are AEST (NSW/QLD/VIC/ACT). 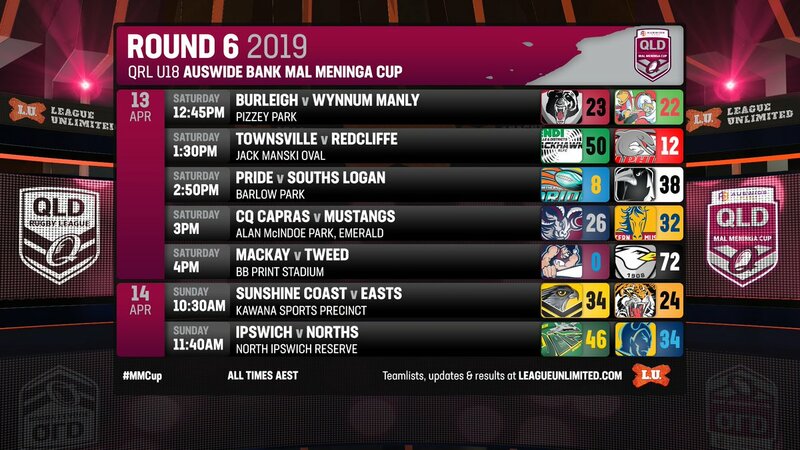 RELATED: See the full list of 2019 Auswide Bank Mal Meninga Cup Draw and Results. RELATED: Click here to view the current Auswide Bank Mal Meninga Cup ladder. Follow @IntrustSuperCup on Twitter. More articles from Queensland Rugby League.